A super-convenient way to get your daily amount of protein, and packed with superfoods like kale and spirulina — our Vegan Protein & Greens blend is ideal whatever your fitness ambitions. Plus, it’s great to support anyone on a plant-based diet, as it’s completely free from animal products. With all-natural nutritionals and all-natural flavours, it’s ideal as a breakfast or mid-morning protein smoothie and a great source of fibre. 1. 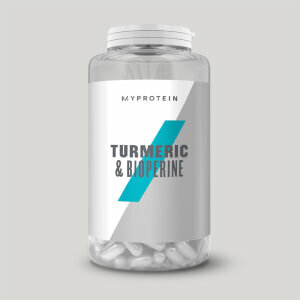 Vitamin D contributes to the maintenance of normal muscle function. 4. Vitamin C contributes to maintain the normal function of the immune system during and after intense physical exercise. Vitamin C contributes to the reduction of tiredness and fatigue. 5. Vitamin B12 contributes to the reduction of tiredness and fatigue. When to take Vegan Protein & Greens? Add ¾ of a large scoop (30g) to 250ml of water in one of our shakers any time of day to increase your daily protein and greens intake. What does Vegan Protein & Greens work well with? 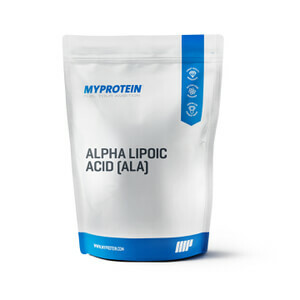 Our blend is ideal for getting the protein and healthy extracts you need in a super-convenient way. But, to satisfy your sweet tooth without derailing your training, keep a Vegan Protein Bar in your gym kit to snack on between mealtimes. Banana & Cinnamon: Pea Protein Powder (58.4%), Faba Bean Isolate (16.7%), Flaxseed Powder (10%), Natural Flavourings, All in One Greens Natural Powder Blend (Kale, Brown Rice, AncienTrim™(Millet, Amaranth, Buckwheat, Quinoa, Chia), Spirulina, Wheat Grass, Barley Grass, Oat Grass, Alfalfa Grass, Pomegranate, Beet, Carrot, Tomato, Spinach, Broccoli, Lemon, Acerola, Parsley, Blackberry, Blueberry, Ginko, Green Tea Extract, Bilberry, Grape Seed Extract, Elderberry, Maltodextrin, Silicon Dioxide, Sunflower Oil, De-Oiled Sunflower Lecithin), Organic Chlorella Powder (2.1%), Ground Cinnamon (1.5%), Organic Camu Camu Powder (0.33%), Sweetener (Steviol Glycosides). Coconut & Lime : Pea Protein Powder (60.7%), Faba Bean Isolate (17.7%), Flaxseed Powder(10.4%), All in One Greens Natural Powder Blend (Kale, Brown Rice, AncienTrim™(Millet, Amaranth, Buckwheat, Quinoa, Chia), Spirulina, Wheat Grass, Barley Grass, Oat Grass, Alfalfa Grass, Pomegranate, Beet, Carrot, Tomato, Spinach, Broccoli, Lemon, Acerola, Parsley, Blackberry, Blueberry, Ginko, Green Tea Extract, Bilberry, Grape Seed Extract, Elderberry, Maltodextrin, Silicon Dioxide, Sunflower Oil, De-Oiled Sunflower Lecithin), Flavourings, Organic Chlorella Powder (2.1%), Organic Camu Camu Powder (0.33%), Sweetener (Steviol Glycosides). Mocha : Pea Protein Powder (56.3%), Faba Bean Isolate (16.3%), Flaxseed Powder (9.6%), Cocoa, All in One Greens (Kale, Brown Rice, AncienTrim™(Millet, Amaranth, Buckwheat, Quinoa, Chia), Spirulina, Wheat Grass, Barley Grass, Oat Grass, Alfalfa Grass, Pomegranate, Beet, Carrot, Tomato, Spinach, Broccoli, Lemon, Acerola, Parsley, Blackberry, Blueberry, Ginko, Green Tea Extract, Bilberry, Grape Seed Extract, Elderberry, Maltodextrin, Silicon Dioxide, Sunflower Oil, De-Oiled Sunflower Lecithin) Natural Powder Blend, Natural Flavourings, Organic Chlorella Powder (2.1%), Organic Camu Camu Powder(0.33%), Sweetener (Steviol Glycosides). The nutritional information is based on the Banana & Cinnamon version, when choosing an alternative flavour the nutritional values may vary. Ready to mix plant based protein powder blend made with pea protein isolate, faba bean isolate, flaxseed and extract of chlorella and camu camu. Banana Flavour with added cinnamon and sweetener. 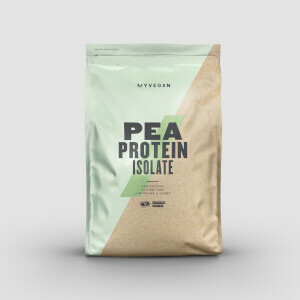 Ready to mix plant based protein powder blend made with pea protein isolate, faba bean isolate, flaxseed and extract of chlorella and camu camu. Mocha flavour with sweetener.